Raspberry Pi may currently be battling its way through the red tape around certification, but that hasn't stopped someone from turning it into a ZX Spectrum emulator. 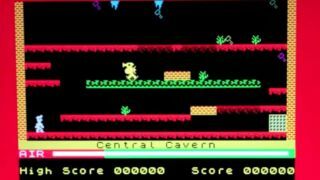 Andy Taylor from the UK computing museum is the man behind a port for Fuze – an emulator for the Sinclair ZX Spectrum – the computer that fired a generation of games developers. The emulator illustrates just some of the fun that could be had with a £22 computer that's been designed to be played around with and altered. The Raspberry Pi project is looking to bring the joy of tech creation back to kids – although we're be willing to bet that a fair few of the early versions end up in the hands of the exact same people who played with the Spectrum in their younger years. Obviously this emulator is the first of potentially many, as a new generation tinker and create to their heart's content. In the meantime, the slightly older generation is going to be trying to get through the processing plant level and humming along to In the hall of the mountain king.